Tech things fascinate and confuse me. Fascinate because of what they are advertised to do, confuse because of when they don’t do as advertised (which is often). My wireless mouse got ill with the usual affliction of wireless mouses—responds poorly and randomly (and why, yes, I tried switching it off and on and changing batteries)—so I took it to my tech supplier for treatment. Meanwhile, I’m using my old wired mouse, which works well, but its wire doesn’t work well with my OCD and I fear I might (accidentally or otherwise) strangle myself with it. In front of me in the queue in the shop (clearly nobody’s tech devices work as advertised), there were two women whose universal charger spontaneously combusted. That much to universal chargers. No damage was done, besides to the charger, which got itself a new tan. My ill mouse was accepted in a nonplussed manner and I will be notified about its condition in due time. On an (un)related note, I recently read a review of selected smartphones based on a thorough lab-condition testing. I was surprised at how well Samsung phones did on the test. I’ve had two Samsung devices, a netbook and a smartphone. Neither of them cheap. The netbook served reasonably well, though after five years, it simply collapsed and died. The smartphone pulled the same trick just after the warranty expired. I’m not buying another Samsung ever again. I’m finding it increasingly difficult to single out a brand which I could trust as to the quality of their products (don’t say Apple, I’m talking mid-range price). I’m an unreasonable buyer in that I want things to work—and on top of it, to last for a while. At the moment I’m hooked with Lenovo (phone and laptop, Leni and Lena respectively), and I got me an ASUS tablet at the time when this was the only brand here that offered the kind of tablet with a keyboard that I wanted. I was mildly discouraged when I found that Lenovo was Chinese. Chinese stuff doesn’t have a good name in these parts, but perhaps the Chinese are not to blame. Then again, Samsung is Korean, which to me sounds good, but it didn’t work well for me. Also, I believed Samsung was German—owing to the ung ending, but it’s apparently rather a sung ending. This post is as confused as my feelings about tech things. Pity to hear you didn’t have a good experience with the Samsungs. I’m on my second Samsung phone and I have got nothing but good things to say about it. Maybe I’m just very careful with it. Well, I did drop it face first on the concrete three days after getting it…. I’m not a huge fan of wireless mouses. Much prefer to use the touchpad on my laptop. You have a beautiful website, Mabel. Did you make the header yourself? These electronic devices are so volatile. Rationally, I know that Samsung might make perfectly good stuff and that I might have just got unlucky in my choice. I imagine there is also a huge difference between various devices from the same maker. But it’s overwhelming hard for me to choose one that I’d be happy with. 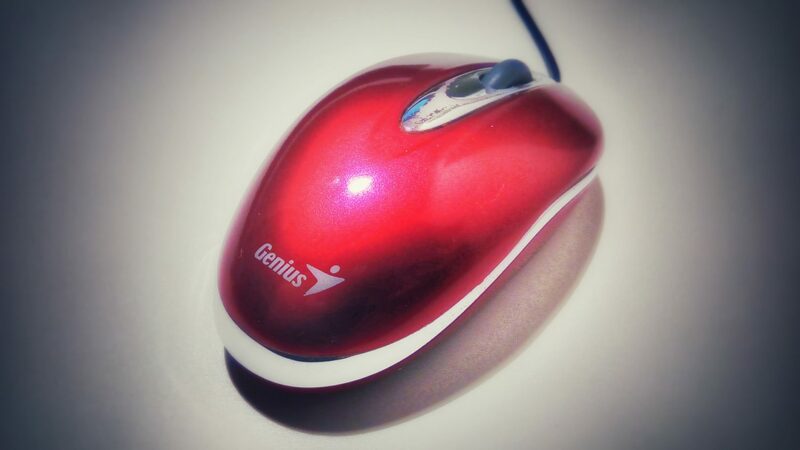 I have a rather small office table, so for me a wireless mouse is almost a must – I can’t even fit a mouse pad on my table, so it’s an advantage not to have the extra wires lying around. I hope my mouse will get fixed. I never got used to using the touchpad on the laptop. I tried, but my fine motorics isn’t probably good enough for this! Well … when it comes to wireless mice, I can only agree. When I bought my first MacBook, I wanted to go whole hog, so I bought Apple’s “Magic Mouse” with it. Admittedly, one big reason was the sleek look of it. It DOES work — it isn’t that — but it’s just painful, and I think they’ve gone too far with it. I can’t play my stupid little game with it, and I shouldn’t have to quit playing the idiotic game, just because I have this outrageously expensive mouse?! So, I went and bought another Apple Mouse with a cord, which works beautifully. Don’t think I can ever get used to the touch pad. Once, back home, I had a laptop that was Toshiba. Everything that could go wrong did. It must have been a lemon. When I came to Canada, my husband had an old computer, I don’t remember the brand. We started buying DELL computers, and had only good experiences with them. The DELL trend lasted until I switched to Mac. G’d tablet is Samsung … he’s on his second now. The first one is three and a half, and still working flawlessly, but he wanted a new, lighter one. It’s the Android I can’t stand. My iPad is about the same age, and when it gives out its breath, there will be another iPad [Pro, the smaller version 9.7″], with keyboard and pen. Apple Pen. I knew Lenovo was Chinese, but isn’t (wasn’t) IBM involved there somehow? Back home, I got a desktop computer through my job, and that was Siemens. They are unheard of here. From what I hear, it seems that wireless mouses are all the same – that is, not very reliable. It’s a shame, it’s very practical as I hate wires. I know what the Apple Magic Mouse looks like and I am intrigued by its compact design. I think it would be too minimalist for me. And since I don’t have any Apple device, it doesn’t make sense to have their mouse, so I never considered it. Obviously, when a mouse doesn’t allow you to play a game comfortably, what’s the point? You have a point that the problem with devices is to much extent their operating system. I can’t decide whether I hate Android or Windows 10 more. I’m keeping the dream alive that perhaps, one day, I’ll be able to afford a Mac. When I checked the price of the Apple laptop I wanted, I found it was roughly the equivalent of a very nice used car here, or the equivalent of what I pay on rent in sum for about eight months. My Samsung Galaxy Tablet died after two years. I took it to Best Buy in hopes of resuscitation but they were unable to revive it and I was advised to take it down town to the Samsung store. I’ve yet to do this but in the meantime I purchased a Kindle Fire. Not a tablet but right now I just need something to watch TV shows and movies on since I do not own a TV. I am in the market for a new tablet but it will Not be a Samsung!! Samsung American style Fridge/Freezer (slightly off piste here) – rubbish, lost two freezer loads of food. Got a Bosch now, so far, so good – very wary of Samsung anything! shrug * Some things I just can’t wrap my mind around.